The school is organised into three departments. Redwood department caters for Early Years pupils with a range of needs, and primary aged pupils with profound and multiple learning difficulties, and pupils with low functioning autism and sensory processing difficulties. Silver Birch department is for children from Year 1 to Year 6 who experience a range of complex learning difficulties. Oak department is for pupils from Year 1 to Year 6 who experience moderate learning difficulties, some pupils with SEHM needs and some with higher functioning autism. Approximately 45% of pupils across the school have an additional diagnosis of autism. We are fortunate to have wonderful facilities, including two large halls, a computer room, a hydrotherapy pool, a soft play room, a library, a family room, an observational mirror room, dark room and sensory theatre. We have lots of wonderful outdoor spaces, including our new MUGA and new outdoor learning space. The school has a number of minibuses including those with a tail lift to ensure our children can access the community for learning. We also have a number of meeting and training rooms which provide a comfortable environment for parents to meet as well as being an excellent location for courses and workshops. We strongly believe in the benefits of multi-professional working, and have on site speech and language therapists, occupational therapists, and physiotherapists, and a school nurse. Our vision as a Federation is to provide a supportive but challenging multi-professional approach to the education of all the young people in our care, enabling them to achieve the greatest possible level of independence and inclusion. At Booker Park we follow the Booker Park Curriculum which has been designed to meet the needs of the children in the school. It is informed by the National Curriculum, the Equals Curriculum, the Barrs Court Curriculum (written specifically for children working below P4) and was written in consultation with staff, parents, Governors and the other professionals we work with. Click the button to see a model of our curriculum which shows the different areas that we work on. 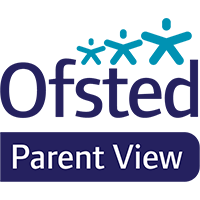 Use the link to view details of Booker Park’s most recent Ofsted report. The Government hold information and performance data on the school. To view the information, please click the link below. To view the information regarding the latest Key Stage 2 results, please click the link below.